Rick's Pocono Blog: Pocono Community at its Finest is Arrowhead Lakes! Pocono Community at its Finest is Arrowhead Lakes! 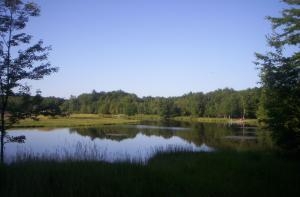 Arrowhead Lakes Community is one of the most Decorated and Pristine Communities in the Pocono Mountains. It is a very Friendly and Family Oriented Private Gated Community. Arrowhead Lake Association takes care of its residents with 24/7 Security 365 days a year, and there are a number of family oriented events for holidays and for children including parties, arts and craft, and many more. This is one of 5 Beautiful Amenity Filled Communities located in Pocono Lake which is right in between Blakeslee and Pocono Pines Pa. There is a Welcome Center with a downstairs open to residents with Pool Tables, Computer Stations, a Library, Board Games, Ping Pong Tables, a television, and a Gym! There is a New Member Service Building that will be opening this year in the first gate of the Community. Arrowhead Lakes is one of the most Family Friendly and Amenity Filled Communities and you will love it for sure!